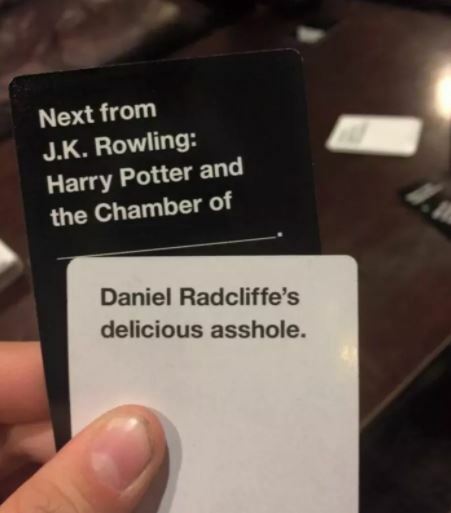 Cards Against Humanity is infamous because of the dark stuff it produces from its players in the heat of the action. It’s the ultimate game of political incorrectness and it’s grown to become an international phenomenon. Cards Against Humaity was first established by a group of friends when they needed something to play on New Year’s Eve. Since the game was released, millions of packs have been sold and they’ve developed loads of spin-off versions which play on the central theme. For those who don’t know – seriously where have you been hiding? – the aim of the game is to essentially create the most offensive phrases possible in a jigsaw like meeting of different cards. If you feel like things in your house were getting a little stale and games were starting to get decidedly unoffensive, then fear not. 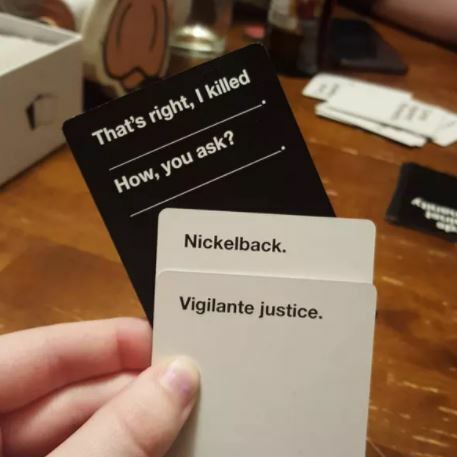 The game’s creators have turned their attention to Cards Against Humanity 2.0, which replaces all of the old jokes with the best in new, offensive and topical humour. If this wasn’t good enough for you, they’ve also increased the number of cards by 50! Only the US set has been updated for now, but it’s likely with everything going on across the pond at the moment, it’s likely to be the best yet! If you can’t wait for the game to be released over here – and everything America gets we get about six months later – a British company has just released an offensive card based game with vague similarities to Cards Against Humanity. You can exercise your dirty tongues and fingers. Get ready to offend your friends and family – it’s going to be one hell of a Christmas party with these around.